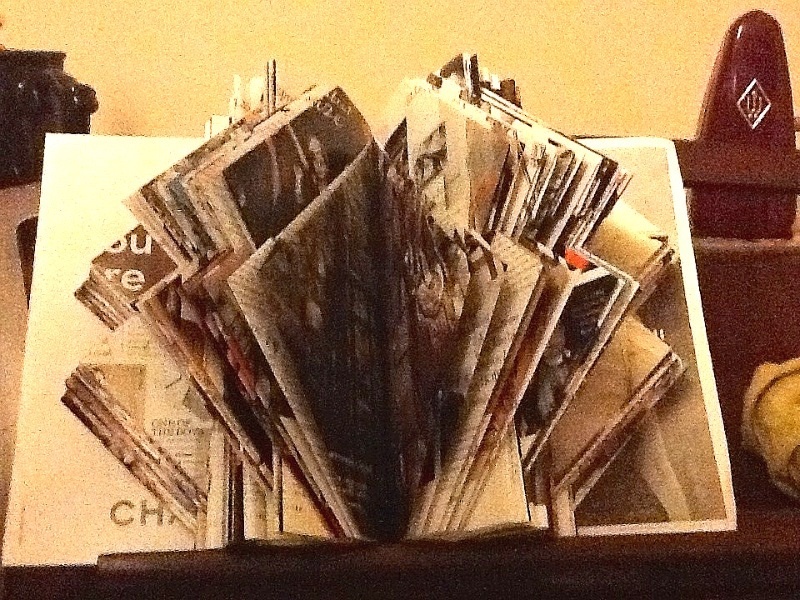 I just googled, looked at various tutorials, then played around with an old magazine – the chunkiest I could find! Found the middle then worked my way out, alternating the types of folds evenly. This entry was posted in Art, Craft, Paper, Tutorial and tagged Book art, paper folding. Bookmark the permalink. Post a comment or leave a trackback: Trackback URL.